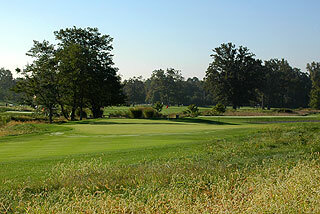 Plum Creek Country Club in Carmel just north of Indianapolis is a semi-private, Pete Dye design that served as the site of the 2004 IWGA Mid-Amateur Championship. 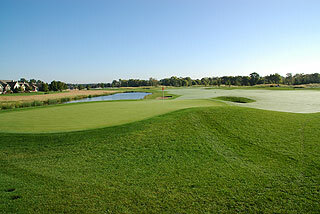 This beautiful par-72 layout features strategically placed bunkers and water hazards along a links style terrain with large undulating green complexes, and has been awarded 3 1/2 stars by Golf Digest Places to Play. 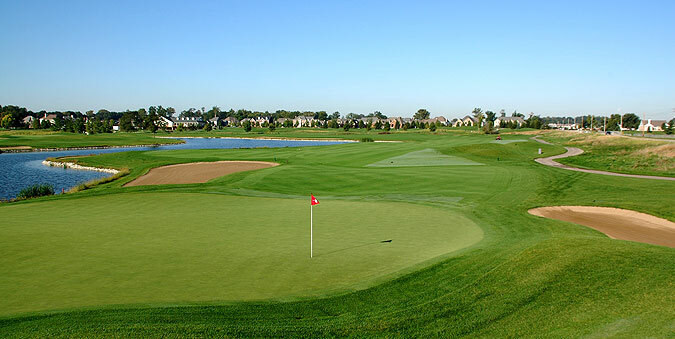 Located just northeast of Indianapolis, this layout is one of the best conditioned courses in the region, with manicured bent grass fairways, tees and greens. Golfers will encounter generous landing areas along a gently rolling terrain, bordered by mounds featuring high grasses and fescue. 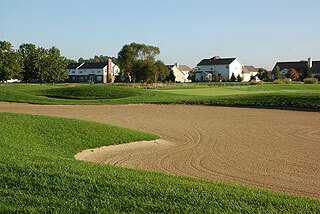 Sand bunkers are sculpted into the surrounding mounds and also are abundant greenside, with 47 in total scattered along the course. 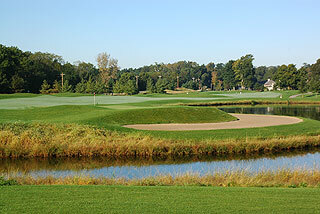 Water comes into play in some shape or form on 8 holes. 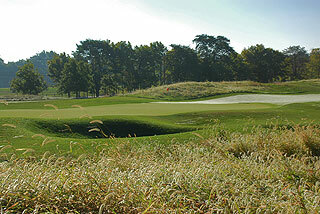 Players missing on approaches will usually find abundant room greenside, in the gentle slopes and mounds that create ample opportunities for up and downs. 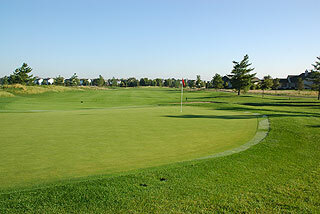 The green complexes are generally open in front, inviting bump and run chips and pitches. 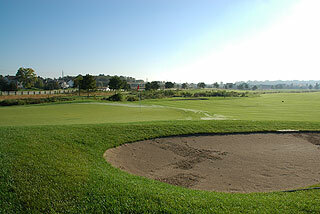 On property is a targeted grass range, short game area with sand bunker, and putting green. The clubhouse features a beautiful pro shop, locker rooms with showers for men and women, grill room with lunch items and beverages, plus banquet/outing facilities that can accommodate up to 240 guests. On course yardages are posted on cart paths at 100, 150 and 200 yards, and sprinkler heads are measured to the center of the green. Color coded flags indicate front, middle and back hole locations, and hole diagram books are also mounted on the golf carts. There are four sets of tees that are evenly dispersed, affording golfers of all skill levels to choose a set that matches their abilities. The tips measure 6802 yards/127 slope, with alternate sets playing to distances and slopes measuring 6215/121, 5779/115 for men and 123 for women, and 5244 yards with a slope of 107 for men and 117 for women playing from the forward tees. 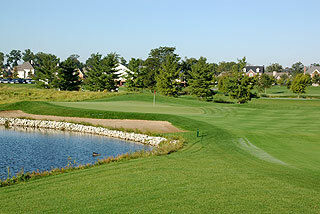 Plum Creek is easily accessible from the major road ways in the Indy area - we heartily recommend a round here! There are not too many layouts that can match the quality of conditioning from tee to green. For more info, visit our page for the course, with direct link to their website by clicking here.